the values of faithfulness, asceticism, honour and loyalty. Sociology, following Zombart, calls this "civilization of the heroic type". In terms of the sociologist Pitirim Sorokin, it is the ideal sociocultural system. Such a sociological peculiarity was expressed in various political forms, which had a common denominator, consisting in the constant reproduction of civilizational constants and basic values, which acquired different historical expressions. The political system of Kievan Rus differs qualitatively from the politics of the Hordes, and that, in its turn, from the Muscovite Czardom. After Peter the First, the political system sharply changed again, and the October revolution of 1917 also led to the emergence of a radically new type of statehood. After the collapse of the USSR there arose on the territory of the Heartland another government, again differing from the previous ones: the contemporary Russian Federation. 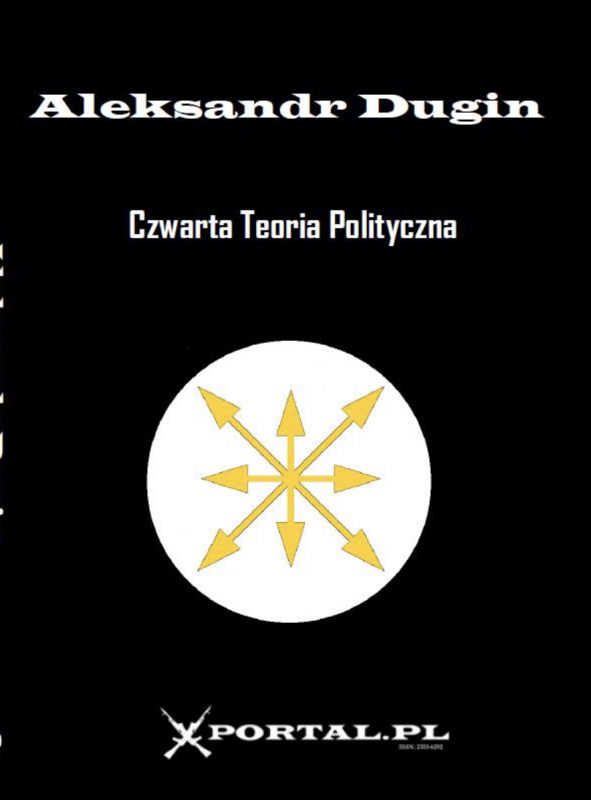 But all these political forms, which have qualitative differences and are founded on different and at times directly contradictory ideological principles, had, in the entire course of Russian [Russkii] political history, a set of common traits. Everywhere we see the political expression of the social arrangements characteristic of a society of the continental, "land-based", heroic type. These sociological peculiarities emerged in politics through the phenomenon that the philosopher-eurasianists of the 1920s called "ideocracy". The ideational model in the sociocultural sphere, as a general trait of Russian [Russkii] society in all the stages of its history, poured out in the field of politics in ideocracy, which also had different ideological expressions, but which preserved a vertical, hierarchical, "messianic" structure of government. After fixing the well-defined geopolitical identity of contemporary Russia, we can move to the next stage. Taking into account such geopolitical analysis, we can uniquely determine the place of the contemporary Russian Federation on the geopolitical map of the world. The Russian Federation is situated on the space of the Heartland. The historical structure of Russian society demonstrates vividly expressed tellurocratic traits. Without hesitation, we should relate the Russian Federation, too, to the government of the land-based type and contemporary Russian society to a mainly holistic society. The consequences of such a geopolitical identification are global in scale. From it we can make a whole series of deductions, which must lie at the basis of a consistent and full-fledged Russian [Rossiiskii] geopolitics of the future. 1. Russia's geopolitical identity, being land-based and tellurocratic, demands strengthening, deepening, acknowledgement and development. Precisely in this consists the substantial side of the policy of affirming political sovereignty, declared already at the start of the 2000s by the President of the Russian Federation, V. V. Putin. Russia's political sovereignty is loaded with a much deeper significance: it is the realization of the strategic project for the upkeep of the political-administrative unity of the Heartland, the (re)creation of the conditions for Russia to play the role of the tellurocratic pole on a world scale. Strengthening the sovereignty of Russia as a government, we strengthen one of the columns of the world geopolitical architecture; that is, we carry out an operation, much greater in scale than a project of domestic policy concerning, in the best case, only our immediate neighbours. The fact that Russia is in the geopolitical perspective the Heartland makes its sovereignty a planetary problem. All the powers and states in the world that have tellurocratic properties depend on whether Russia will cope with the historical challenge and will be able to preserve and to strengthen its sovereignty. 2. Beyond any ideological preferences, Russia is doomed to a conflict with the civilization of the Sea, with thalassocracy, which is embodied today in the USA and the unipolar America-centric world order. 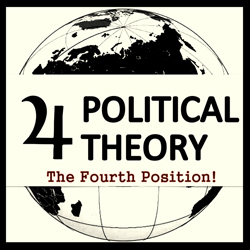 Geopolitical dualism has nothing in common with the ideological or economic peculiarities of this or that country. A global geopolitical conflict unfolded between the Russian Empire and the British monarchy, between the socialist camp and capitalist camp; and today during the generality of the democratic republican arrangement the same conflict unfolds between democratic Russia and the block of the democratic countries of NATO, which are treading on it. Geopolitical regularities lie deeper than political-ideological contradictions or, on the other hand, similarities. The ascertainment of this principle conflict does not automatically mean war or a direct strategic conflict. Conflict can be understood in different ways. From the position of realism in international relations, we are talking about the conflict of interests, which leads to war only when one of the sides is sufficiently convinced in the weakness of the other or when at the head of one or the other state is an elite that puts national interests above rational calculation. The conflict can develop peacefully, through a system of a general strategic, economic, technological and diplomatic balance. In some instances it can even soften to the level of rivalry and competition, although a forceful resolution can under no circumstances be knowingly ruled out. In such a situation the question of geopolitical security stands at the centre of attention, without the guarantee of which no other factors - modernization, an increase in the GDP or the standard of living - have independent significance. What is the point of our receiving a developed economy if we will lose our geopolitical independence... This is not "bellicose", but rather a healthy rational analysis in a realist spirit; this is geopolitical realism. 3. From a geopolitical point of view, Russia is something more than the Russian Federation in its current administrative borders. The Eurasian civilization, established around the Heartland with its core in the Russian narod, is much broader than contemporary Russia. In one or another degree, practically all the countries of the CIS belong to it. Onto this sociological peculiarity, a strategic factor is superimposed: for the guarantee of the security of its territory Russia must receive military control over the centre of the zones attached to it - in the south and in the West, and also in the sphere of the Northern Arctic Ocean. Moreover, if we consider Russia as a planetary tellurocratic pole, then it becomes apparent that its direct interests extend throughout the entire territory of the Earth and touch all the continents, seas and oceans. Hence arises the necessity of an elaboration for Russia of a global geopolitical strategy, describing in what concretely these interests consist in respect to each country and each region.